For those of you new to this space, you should know that prior to beginning Live Out Loud, I blogged daily on a site called Bermuda Shorts. For island news and tropical updates, it was your “daily dish from paradise,” as I liked to say. After all, I’ve been living in Bermuda for just over four years now, so it made sense to write about this sunny place that I called home. But then boredom set in. Not boredom with the island—Bermuda is indeed one of the most beautiful places I’ve even had the pleasure of calling home—just boredom with the blog (you try writing about one topic for four years and let me know what happens). And so, Live Out Loud was born. But that doesn’t mean I won’t be telling you all about this idyllic island in the middle of the Atlantic. No siree! There’s still plenty to report, like how I joined hundreds of islanders flying kites on Horseshoe Bay. 03/14/13Tired of winter? Download this now. If you’re like me, nothing puts me in a summer mood more than a great reggae album (and if you’re not, well, it looks like you’re out of luck pal). The classics are uncomparable—Bob Marley, Peter Tosh, Toots & The Maytals—but if you’re searching for something new to add to your iTunes library than I’d recommend you keep reading this post. So in case you didn’t get the memo, this blog is meant to celebrate life’s important moments. Every single one of them, whether they be grand adventures abroad or simple blissful milestones, like how my two-year-old says the letter W (dubbie, dubbie, if you were wondering). 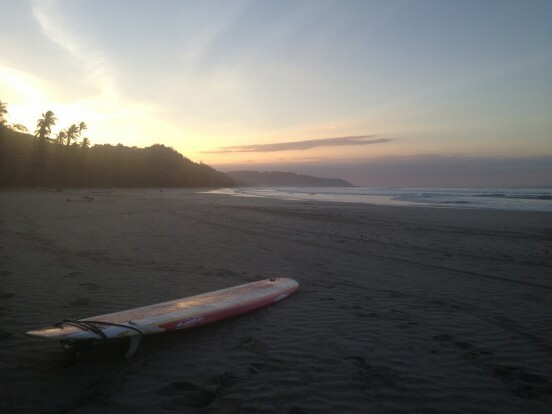 My latest big moment came when I finally hopped a plane, and another plane, and another plane, to Costa Rica—a long overdue trip since one of my very best friends moved to the laid-back surf town of Santa Teresa on the Nicoya Peninsula. He’s been there for the better portion of a decade and for whatever reason I never made it down south. Until now.